Using a restart is a good option to check multiple backends for a single request. This can be created using a cache setting rule and request headers. 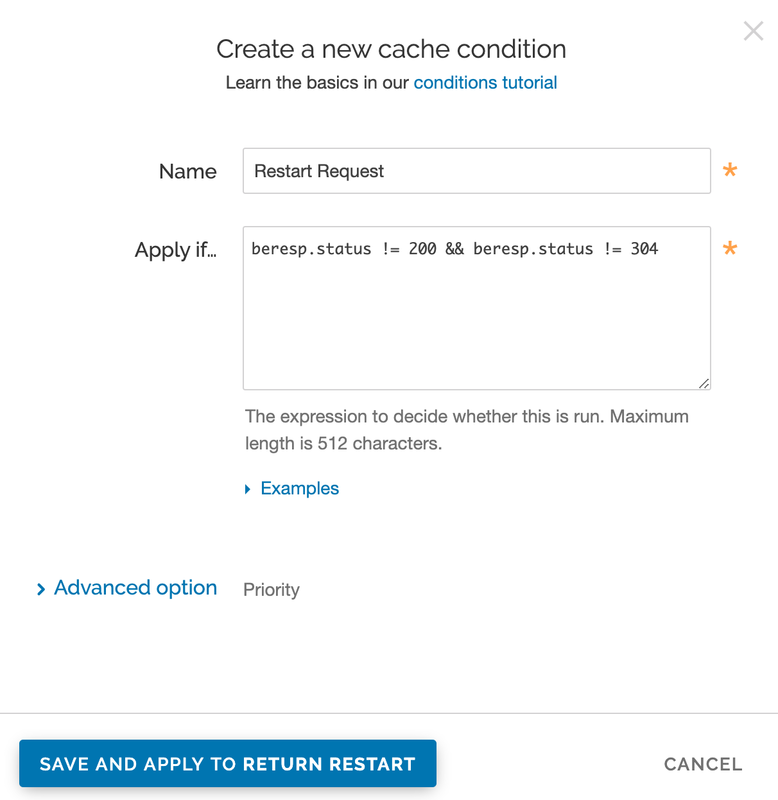 Follow these steps to create a cache restart within vcl_fetch. In the Name field, type Return Restart (or any meaningful, preferred name). In the TTL (seconds) field, type 0. From the Action menu, select Restart processing. In the Stale TTL (seconds) field, type 0. Click the Create button. 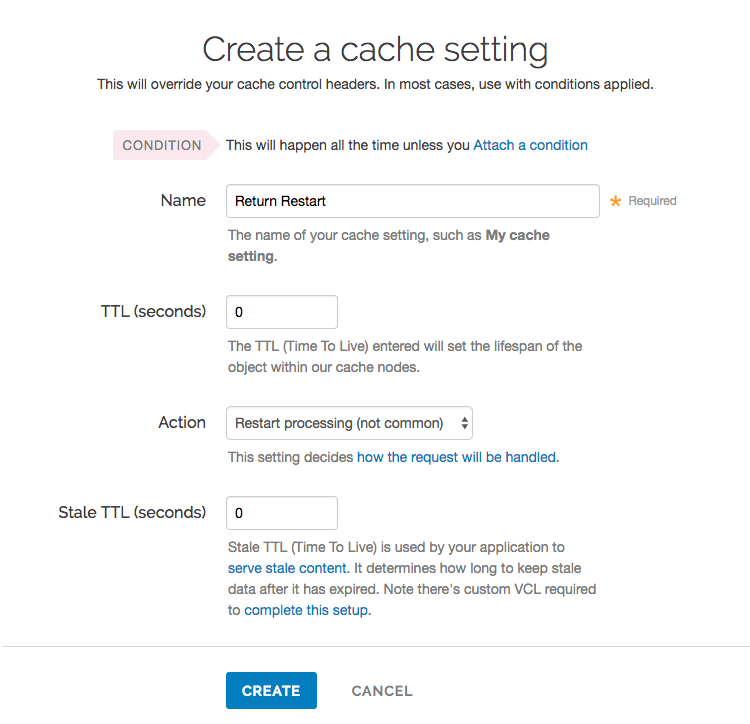 The new cache setting appears on the Settings page. On the Settings page, click the Attach a condition link next to the cache setting you just created. The Create a new cache condition window appears. In the Name field, type Restart Request (or any meaningful, preferred name). In the Apply if field, type beresp.status != 200 && beresp.status != 304. Click the Save and apply to button to create the condition. Follow these steps to create a request header within vcl_recv. In the Name field, type Fastly Internal Shielding (or any meaningful, preferred name). 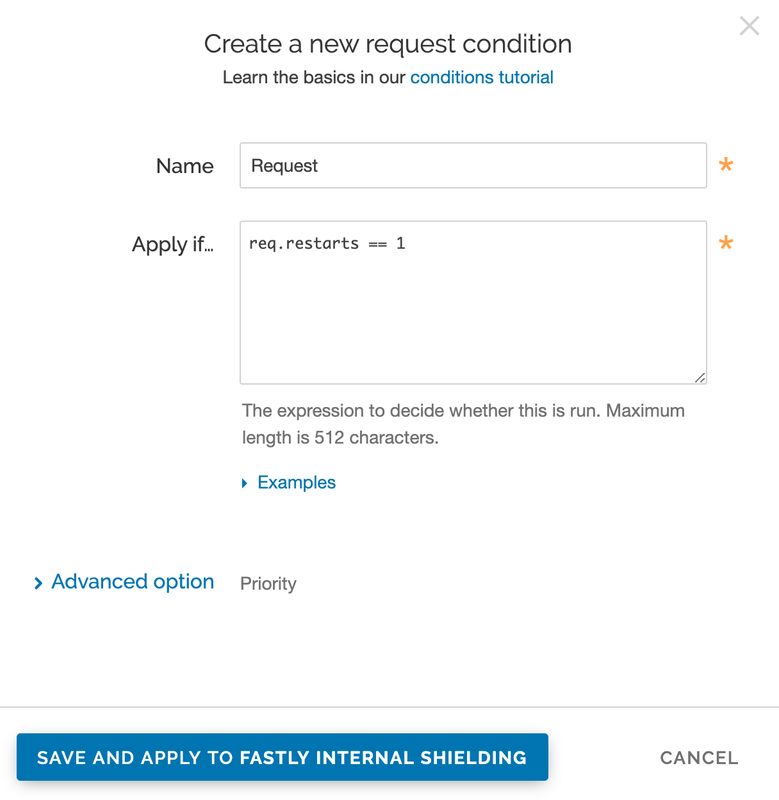 In the Destination field, type http.Fastly-Force-Shield. In the Source field, type "yes". 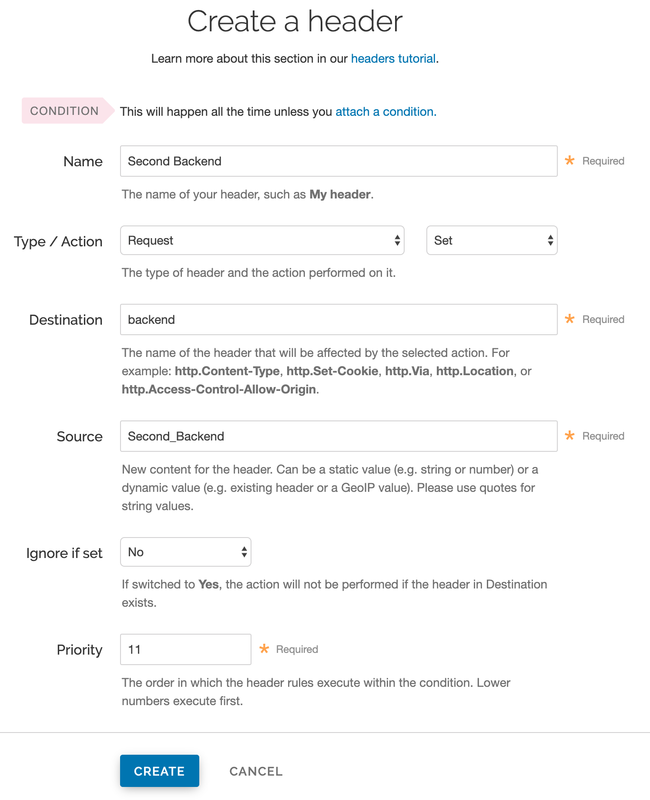 Click the Create header button to create another header to switch to the next backend. The Create a header page appears. In the Name field, type Second Backend (or any meaningful, preferred name). In the Source field, type Second_Backend (this should match the name of your other backend). Follow these steps to create conditions for the headers. On the Content page, click the Attach a condition link next to one of the headers you just created. The Create a new request condition window appears. In the Name field, type Req.request (or any meaningful, preferred name). In the Apply if field, type req.restarts == 1. Click Save and apply to. The condition appears on the Content page. Repeat steps 1-3 for the other header.